Joe’s practice is focused in the area of civil litigation, including all aspects of debtor/creditor litigation. He has represented clients in a wide range of commercial litigation matters, including contract disputes, business torts, real estate disputes, eminent domain actions, professional negligence/malpractice claims and administrative law actions. Joe frequently appears before state and federal trial and appellate courts, as well as state and other government agencies. 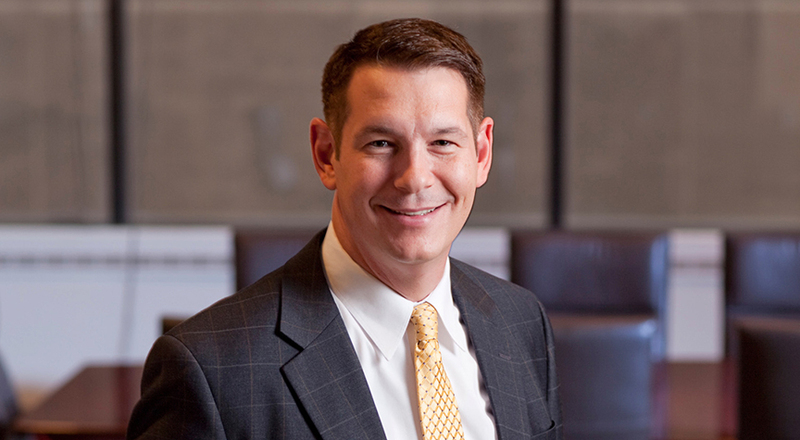 He has been recognized by his peers for excellence in commercial litigation as a Rising Star by Ohio Super Lawyers. He is also honored by Best Lawyers in America for Commercial Litigation, and Bankruptcy Litigation. Represented clients in wide ranges of commercial litigation, including contract disputes, business torts, real estate disputes, eminent domain actions, professional negligence/malpractice claims and administrative law actions. Represented business entities and individuals in bankruptcy court litigation, including preference, fraudulent transfer and nondischargeability proceedings. Represented commercial real estate landlords in the removal of and monetary recovery from tenants. Represented individuals and business entities in defending and prosecuting claims regarding the enforcement and validity of personal guaranties. Represented creditors in all aspects of post-judgment collection proceedings. Represented individuals and business entities in domestic relations and family law issues and litigation. Attorney and Law Clerk with office of division counsel for Harsco Corporation (2001-2004). Prior to his legal career, Joe played football professionally for several years, including two seasons in Europe.